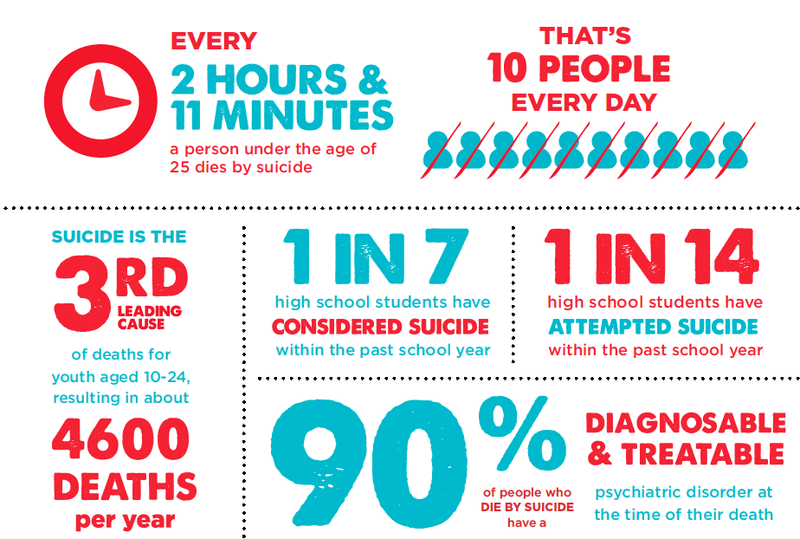 Suicide awareness is so incredibly important and options to avoid it need to be known. Killing yourself is not a way out. Suicide is a difficult topic to talk about, but even more difficult to witness. I recently had a friend reach out to me to write this article in the hopes that no one else has to go through what herself and her peers have to go through. On November 14th, a Lake Minneola high school student came to school with a stolen gun and shot himself. On December 4th, another student from the same high school hung himself. On December 14th, another student from the same high school tried to kill himself. This school isn't an anomaly, unfortunately, but a decent example of how often suicides occur. In reality, suicides happen so much more often than that every day. I can't sit here and write this article saying that we need to bring awareness to suicide. Everyone knows what suicide is and what typically causes it. 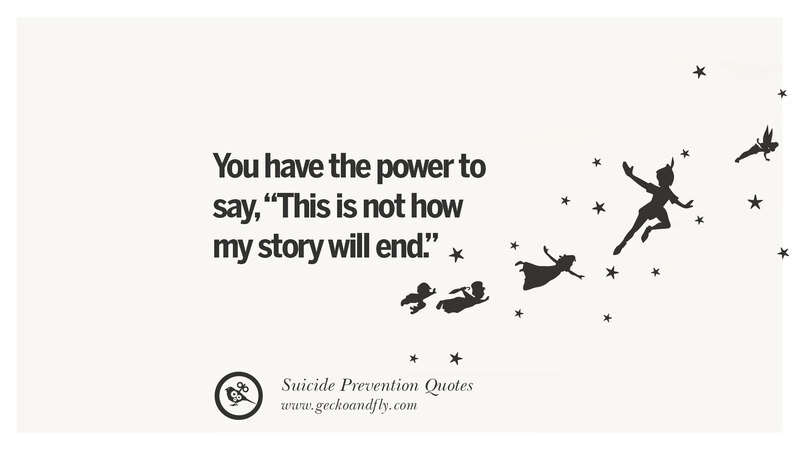 What I can and will do is talk about solutions and the effects of suicide. Most suicidal people see it as a means to end their personal suffering, but it isn't. 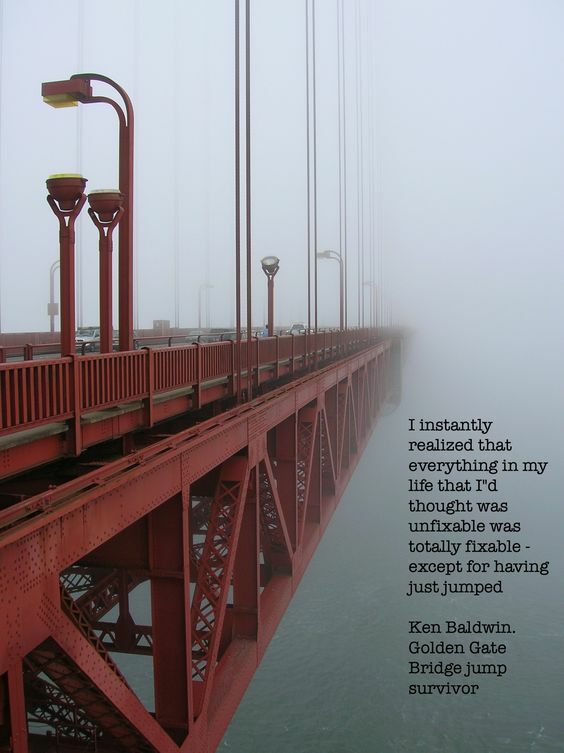 It just moves your suffering and places it on someone else who is still alive. 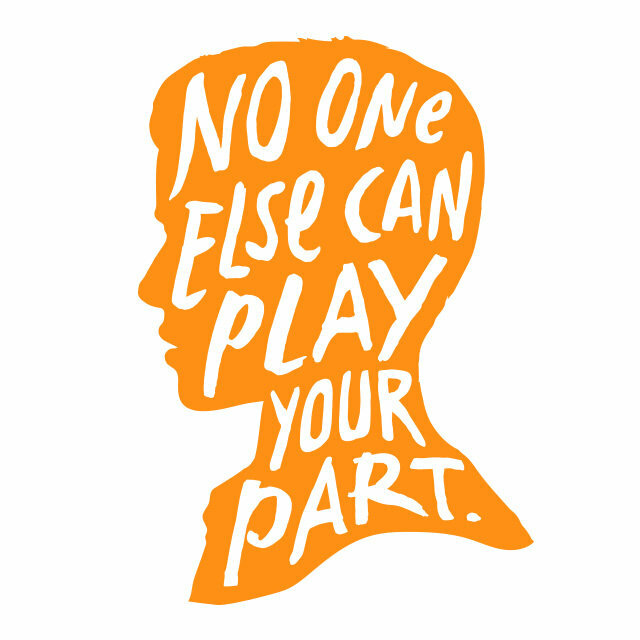 Suicide victims can create others to have a higher risk of attempting suicide as well out of grief. The grieving process (especially for immediate family members) can take years to overcome, if ever. I have volunteered for Crisis Text Line (it's similar to the Suicidal Hotline, but you text instead of call. Free to everyone in the US, just text "HELP" to 741-741) for quite some time now and completed training on how to handle those who were contemplating on attempting suicide and/or self-harm. I don't think I need to mention this, but I will just in case. Never make someone feel stupid for wanting to act on these feelings. This will make them feel invalidated and cause them to shut down. Rather than berating the person, try asking questions to better understand what they are going through. Some examples include "I'm so sorry you've been struggling for so long. Do you want to talk about the reasons you feel like this?" or "It sounds like you're in a lot of pain right now. I'm wondering if you can tell me more about what's going on?" Open-ended questions (things you can't answer with a simple "yes" or "no") will not only show the person that you are genuinely interested in helping but will be easier for them to get things off of their chest. Along with suicide, self-harm is a common occurrence and typically a warning sign for suicidal ideations. There are a lot of reasons for self-harm, and it can come in many different forms. The most common form of self-harm is cutting oneself somewhere on their body. 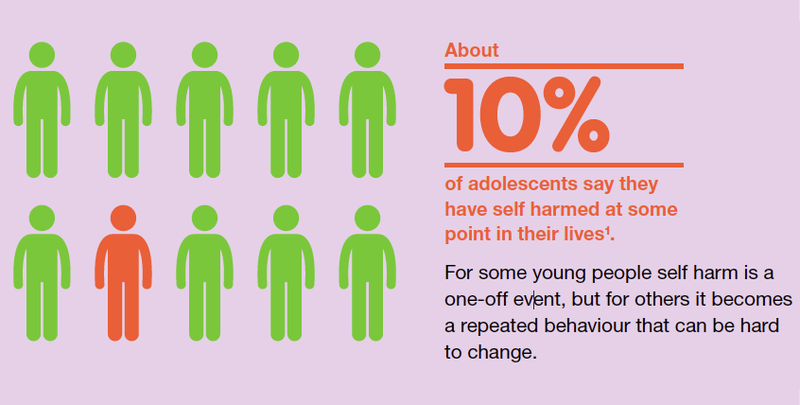 Other forms of self-harm include scratching, burning, hitting/punching and pulling hair out. Less common forms are forms you may not think too much of. Eating enough to make yourself throw up, not eating enough and starving yourself, not putting a jacket on when cold, and not taking clothes off when hot are less noticed forms of self-harm. Some reasons for self-harm include anger, frustration, restlessness, sadness, depression, desire to focus, craving sensation, feeling depersonalized, dissociating, or just simply wanting to see blood/pick scabs. Identifying the emotion behind the desire can help in preventing a person from acting on their desire (refer back to the open-ended questions). Some DIY activities for those wanting to self harm due to anger/frustration/restlessness includes hitting something physical that isn't directed at a living thing (pillow, bed, etc. ), ripping up paper (old newspaper, phonebook, etc. ), going for a walk/run, throwing ice in a bathtub or against the wall hard enough to shatter it, or getting silly putty and snapping it. For sadness/depression, doing something soothing (taking a bath), lighting sweet smelling incense/candles, listening to soothing music (not sad music ), rubbing lotion on the parts someone wants to hurt, or calling a friend and talking about the things one likes. For craving sensation/feeling depersonalized/dissociating, squeezing hard ice, biting into a hot pepper, slapping a tabletop hard, slapping one's wrist with a rubber band, taking a cold bath/shower, or focusing on how it feels to breathe. For the desire to focus, eat a fruit mindfully (notice how it feels in one's hands, try to mentally describe it, think about the texture as one eats it, how the inside is different from the outside, etc. ), choose a random object and try to think of 30 different uses for it, or pick a random topic and researching it. For wanting to see blood/pick a scab, draw on oneself with a red felt-tip pen, paint oneself red with tempera paint, or get a henna tattoo kit (the henna can be picked off like a scab after it's dried and leaves a design underneath). Plan: Do they have a plan? Lethality: Is this plan truly lethal? Could they die from this plan? Availability: Do they have the means to carry out this plan? Illness: Do they have a mental or physical illness? Depression: Do they have chronic depression? Or depression brought on by (a) specific incident(s)? If you can answer yes to all of these, actions may need to take place whether it's getting a trusted family member/friend to intervene or calling 911. If it's a family or friend, remember to not seem pushy for the person to get help. Refer back to the open-ended questions and hear them out. Anyone and everyone is capable of helping those in a bad state of mind, but don't forget to take care of yourself. SOLOS, AFSP, Bereaved Parents of the USA, Cope Foundation, and Heal Grief. The Trevor Project, SAMHSA, Active Minds, AsIf, To Write Love On Her Arms, Recover Your Life, and SIOS. The My3 App, the National Suicide Prevention Hotline, Save, SPTSUSA, the Suicide Prevention App, and the Buddy Project. Alternatives to Self-Harm, The "Hurt Yourself Less" Workbook, The Butterfly Project, 5-4-3-2-1 Grounding Exercises, Journalate, Kindness, Neon Flames, Penzu, Grounding Exercises, SuperBetter App, Therapist Aid, This Is Sand, Time Managment, You Feel Like Sh*t, Your Life Your Voice, Silk, andthe Virtual Hope Box App.